I got a great deal on some green beans at the Little Rock Farmers Market this past week, so I decided to try them with one of my favorite things ever: La Quercia prosciutto that you can find at Hillcrest Artisan Meats in Little Rock. (H.A.M.) The traditional method found here is prepared with bacon. We'll call this version the no - bake method. Start with a couple tablespoons of butter in a large saucepan over medium high heat. Add the green beans, tossing until tender, about 5 minutes. Add the remaining butter, brown sugar, and garlic. Stir well to dissolve and incorporate the flavors into the green beans. 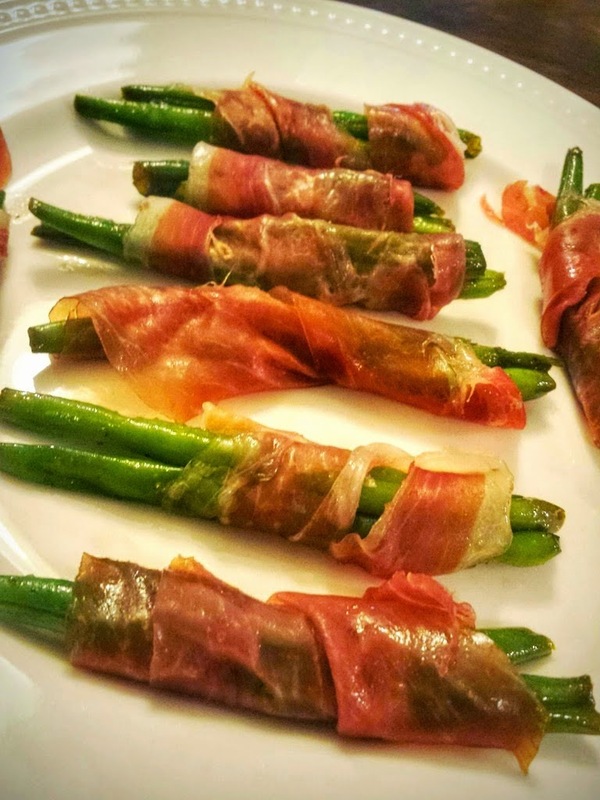 Take 2 or 3 green beans, wrap with a half slice of prosciutto, and continue until all are gone. Serve as a side item or snack.